We all know that there’s something magical about every new beginning. No matter if starting a new relationship, moving to a new place, traveling to a new country, the first day in school or when starting a new job – there’s always those special moments that stick in our minds for quite a long period of time. 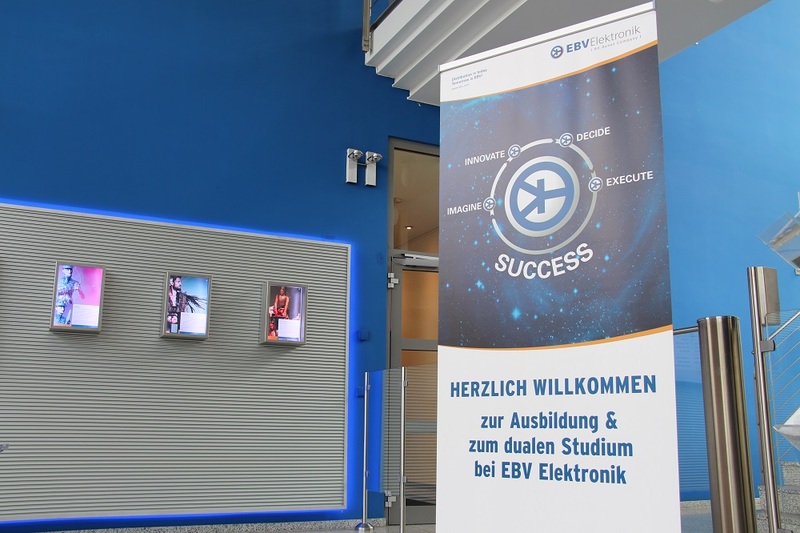 Moments that our new apprentices and students certainly experienced too, when they started their studies at EBV Elektronik yesterday. 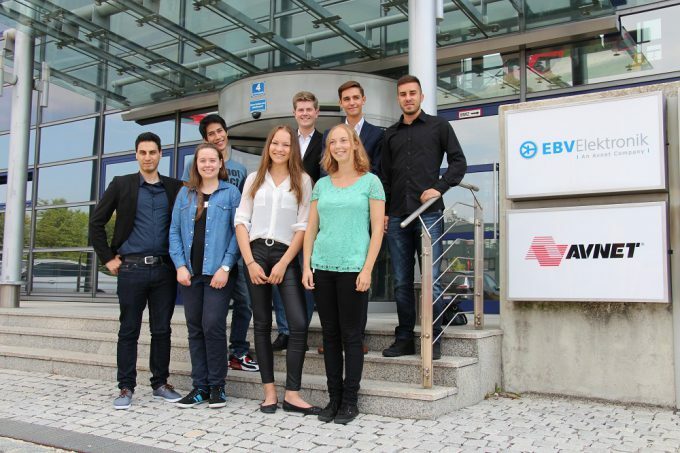 Three young women and five young men entered the EBV headquarters in Poing near Munich yesterday, full of expectations, still a little bit uncertain what is approaching them during their first week as apprentices and dual-track students in the semiconductor industry. But our colleagues from the Human Resources department gave them all a very warm welcome. An introduction week peppered with interesting lectures, training and other delicacies will help them to get familiar with the company and should break the ice. 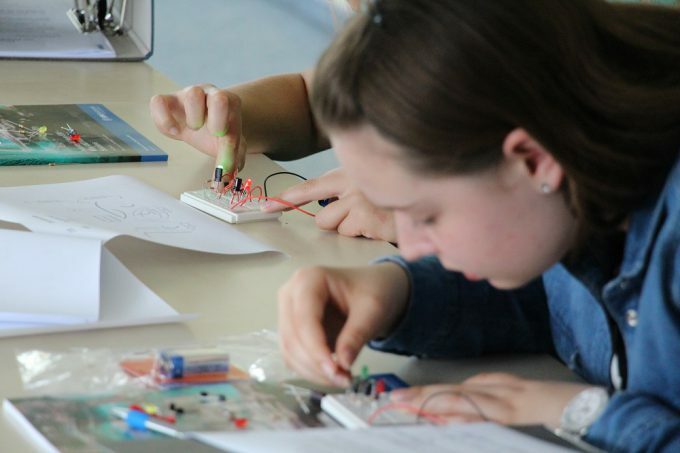 The students will get first insights into some technology matters, during an electronic components training. They will get to know the different departments while doing a “treasure hunt”, will attend several lectures about safety at work, code of conduct or IT infrastructure. One of the highlights during the introduction week will certainly be the guided tours through the light laboratory and the logistics centre. Those trainings are supposed to prepare them for a good start into their new period of life. The possibilities to start a career at EBV are numerous. This year’s freshers will start their studies to become IT specialists or wholesale and international trade specialists. Two others will study business administration and another one applied informatics. As a dual-track stuck you will benefit from our partnership with the renowned Baden-Württemberg Cooperative State University (DHBW), which gives us the opportunity to offer a range of practice-orientated degree programs at various locations. In order to offer the best in terms of employee development, EBV continuously invests in modern programs and tools adjusted to the employees needs. It is no secret that the more you exploit the potential of various talents, experiences and knowledge of your employees the better you will be able to promote innovation. Therefore EBV has developed a talent management program tailored to the needs of the employees and the company. If you want to learn more about the opportunities to start you career at one of the most successful distributors of semiconductors, please visit our careers website. Feel also free to contact us with your questions here.